Thomas Cartwright, was probably born at Royston, Hertfordshire, in 1533. 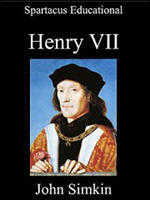 He attended Clare College at the age of twelve and after leaving Cambridge University as clerk to a counsellor-at-law. Cartwright was a religious reformer and under Queen Mary kept a low profile. In 1570 Thomas Cartwright gave a series of lectures on the Acts of the Apostles. It was accepted that he now became one of the most important preachers of the period and attracted a large following, especially among the younger scholars. However, his views were condemned by those in authority and Archbishop Edmund Grindal denounced him as a hothead who should never again be allowed to lecture in the university. Thomas Cartwright died on 27th December 1603. The more stiff-necked puritans defended their attitude on the grounds that if vestments and ceremonies were `matters indifferent' their acceptance should be left to the individual conscience. Behind this difference of opinion was a more fundamental divergence of views about the nature of' the Church: should it be self-governing, or should it be subject to the secular ruler? This issue was brought into the open by the lectures delivered at Cambridge in 1570 by Thomas Cartwright, the Lady Margaret Professor of Divinity. Cartwright, who was only in his mid-thirties, represented a new generation of Elizabethan puritans, who took the achievements of their predecessors for granted and wished to push forward from the positions that they had established. Cartwright declared that the structure of the Church of England was contrary to that prescribed by Scripture, and that the correct model was that which Calvin had established at Geneva. Every congregation should elect its own ministers in the first instance, and control of the Church should be in the hands of a local presbytery, consisting of the minister and the elders of the congregation. The authority of archbishops and bishops had no foundation in the Bible, and was therefore unacceptable. Cartwright's definition lifted the puritan movement out of its obsession with details and threw down a challenge which the established Church could not possibly ignore. The counter-attack was led by John Whitgift, Master of Trinity College and Regius Professor of Divinity in the university. With the support of William Cecil, Cambridge's chancellor, Whitgift amended the constitution of the university in such a way that the heads of colleges, who were less given to radical views, became the effective rulers. They deprived Cartwright of his chair in December 1570, and the puritan spokesman left, appropriately enough, for Geneva. 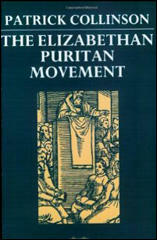 Cartwright's expulsion did not mean an end to puritan pressure, for he had only put into clear terms what many people had long been thinking. As far as the London puritans were concerned, they looked for inspiration to the Calvinist churches set up in the capital by foreign congregations.